This winter, the north-western city of Al-Ula will experience a magical reawakening as it gears up to host Saudi Arabia's first winter festival. Designed to showcase the wonders of Al-Ula to the rest of the world, the Winter at Tantora festival will be the first event of its kind to be held in the breathtaking Unesco World Heritage site. Al-Ula, which lies north of the Arabian peninsula, is home to numerous archeological sites and is a meeting point of many civilizations. 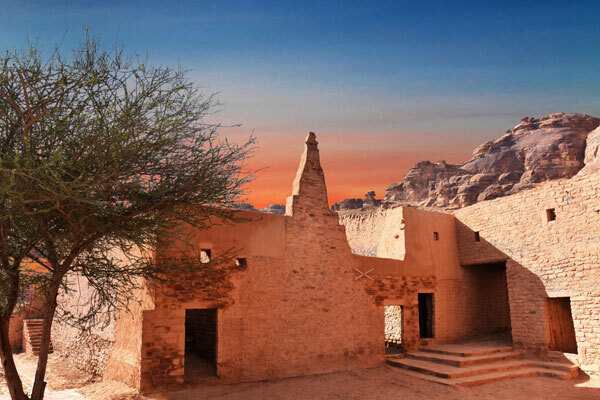 Winter at Tantora Festival reflects this heritage and showcases the historical depth of the region to the world, which has been witness to the development of Al-Ula society on many different levels including agriculture, astronomy and construction. During the festival, feature weekends will include the Tantora Festival, The Wonder of Winter – A Celebration of Light and Life from December 20–27, the Hot Air Balloon Festival from January 31 - February 9, 2019, and Fursan Festival which will play host to the prestigious Custodian of the Two Holy Mosques Endurance Cup on February 2. Beginning on December 21, there will be a series of eight weekend concerts from some of the world’s greatest musicians. Under the dazzling night skies of Al-Ula, you can experience the transcendent power of virtuoso talents such as Mohamed Abdo (December 21), Majida El Roumi (December 28), Renaud Capuçon (January 4), Omar Khairat (January 11), Lang Lang (January 18), Um Kulthum (January 25), Andrea Bocelli (February 1) and Yanni (February 8). Each will perform in a stunning, purpose-built concert hall which showcases the natural majesty of Al-Ula’s scenery, thus bringing together the beauty of music and the beauty of nature in a way that has not been seen before. To add to the already memorable event, on the sixth weekend, Egyptian legend Um Kulthum will give her world-first ‘performance’, via a hologram show. The reception area inside the halls will have visual shows of classical artworks by world-known painter Van Gogh. With just 500 tickets available to each concert, guests wishing to witness this unique event can either book a day package or a full weekend package – both of which will allow them to be part of Al-Ula’s re-emergence on the world stage. Winter at Tantora is also a local festival where Al-Ula’s proud residents will welcome guests to discover the wonders of their region and culture. With a name inspired by a sundial located in Al-Ula’s old town, used by the local population for years, as both a mode of telling time and a marker of the changing of the seasons, Winter at Tantora is a celebration of life, culture, heritage and beauty. Guests of the Winter at Tantora Festival can take part in an exclusive visit to the archeological and heritage sites that are closed for renovations and will be open solely to the select group of Winter at Tantora ticket holders. Enjoy unparalleled star-gazing opportunities hosted by experts revealing the wonders of the universe and the constellations. Or discover authentic cuisine available at one of the many pop-up restaurants. Celebrating the start of winter, Tantora Festival is a seven-day celebration inspired by Al-Ula’s tradition of marking the beginning of the harvest season. Promising to be a feast for the senses, visitors will be able to experience the authentic essence of Al-Ula, from shopping in a traditional souk, encountering art and performance theatre through to enjoying local delicacies. The skies of Al Ula will be brought to life with a Hot Air Balloon Festival. Set to enthrall children and adults alike, the spectacular event is a must-see for all. An array of brightly coloured and patterned beautiful balloons will take to the skies, against the enchanting backdrop of Al-Ula.